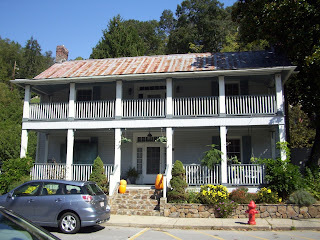 The Colonel Lawrence Allen House is located in historic downtown Marshall, North Carolina. 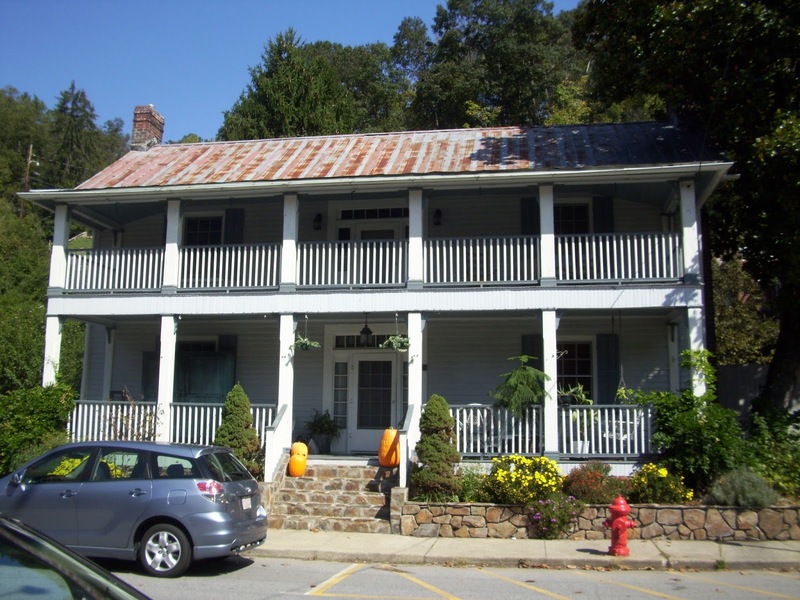 The house was built in 1849, and is the oldest building on Main Street. The home was built by Colonel Lawrence Allen who served as the first Clerk of Court for Marshall. 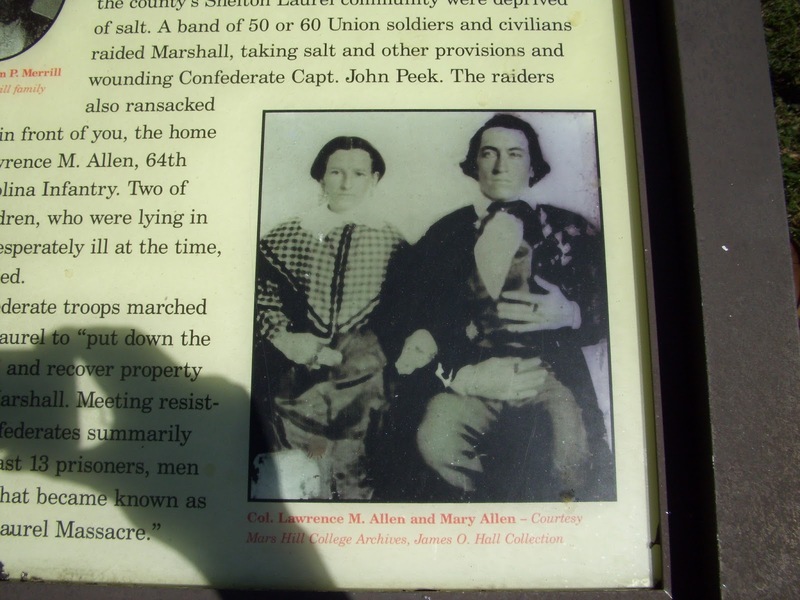 Allen would go on to serve as an officer in the Confederate Army. He was later involved in the Shelton Laurel Massacre on January 18, 1863 in which 13 accused Union sympathizers were executed in Shelton Laurel, NC. 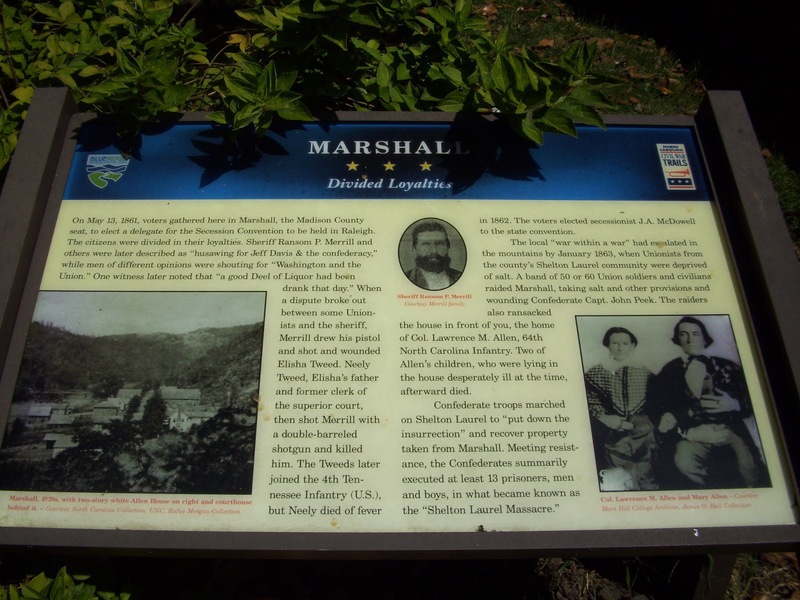 On May 13, 1861, voters gathered here in Marshall, the Madison County seat, to elect a delegate for the Secession Convention to be held in Raleigh. The citizens were divided in their loyalties. Sheriff Ransom P. Merrill and others were later described as “husawing for Jeff Davis & the confederacy,” while men of different opinions were shouting for “Washington and the Union.” One witness later noted that “a good Deel of Liquor had been drank that day.” When a dispute broke out between some Unionists and the sheriff, Merrill drew his pistol and shot and wounded Elisha Tweed, Elisha’s father and former clerk of the superior court, then shot Merrill with a double-barreled shotgun and killed him. The Tweeds later joined the 4th Tennessee Infantry (U.S.), but Neely died of fever in 1862. The voters elected secessionist J. A. McDowell to the state convention. 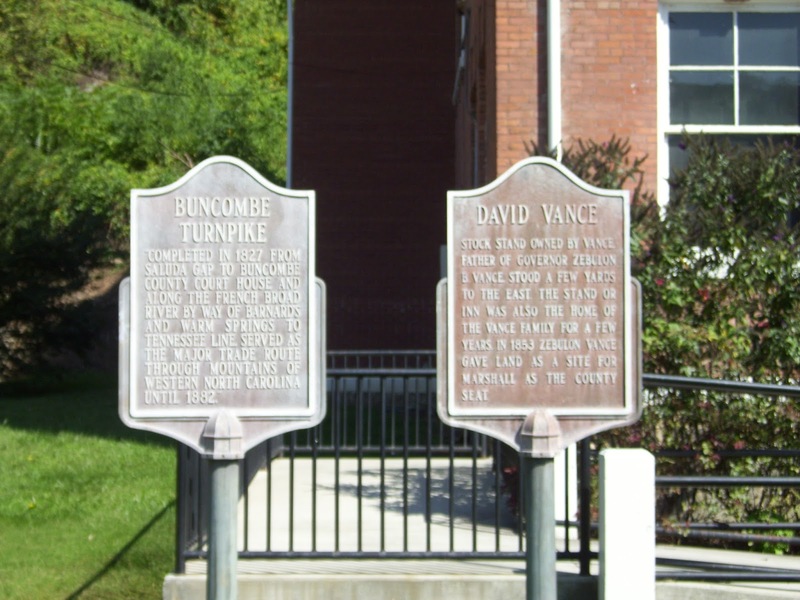 The local “war within a war” had escalated in the mountains by January 1863, when Unionists from the county’s Shelton Laurel community were deprived of salt. A band of 50 or 60 Union soldiers and civilians raided Marshall, taking salt and other provisions and wounding Confederate Capt. John Peek. The raiders also ransacked the house in front of you, the home of Col. Lawrence M. Allen, 64th North Carolina Infantry. 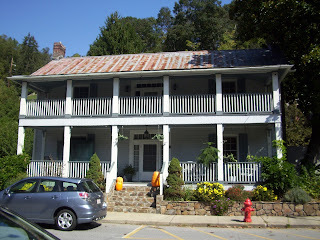 Two of Allen’s children, who were lying in the house desperately ill at the time, afterward died.